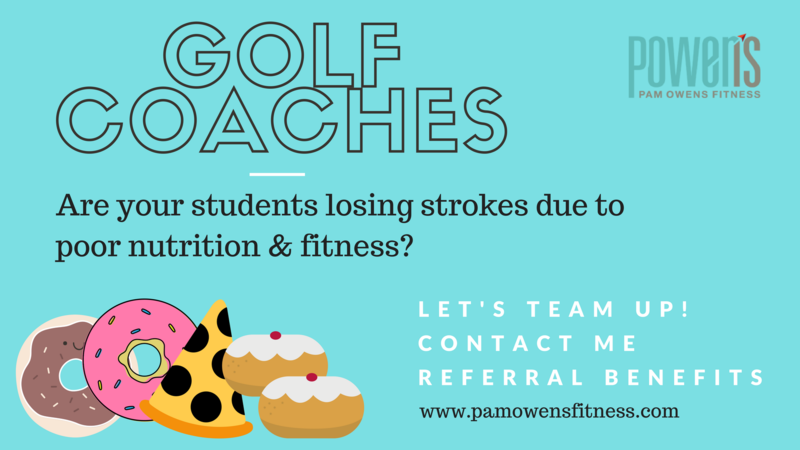 Golf Coaches – Team Up for Nutrition Support! 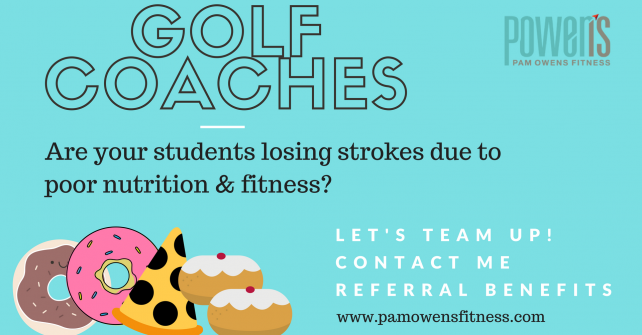 Golf Coaches: Do your clients need to lose weight, learn how to fuel their muscles and hydrate? I can be your nutrition “department” to provide coaching alongside you! 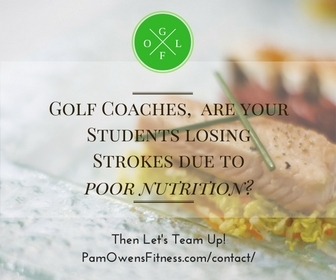 We can work together to help your clients achieve their golf goals of becoming the pain-free, healthy, powerful golfer with my coaching via the best and most successful online nutrition coaching platform. No appointments and no visits required. Contact me for details. Referral benefits and ask me how you as the coach can participate for free. $79 FUEL UP Online Program purchase can be done self-guided in 5 sessions with action guides to move your student into action using better fueling and hydration habits. Let’s talk!